The U.S. Postal Service changed shipping rates on January 17, 2016. Many Etsy sellers came to rely on my shipping calculator for 2015, so I’ve once again taken the near-indecipherable USPS rate charts and turned them into an easy to use tool for updating your shipping profiles and listings. Notable for 2016 is an increase on the maximum weight on First-Class Mail Packages from 13oz to 16oz (well, technically under 16oz so 15.999oz). 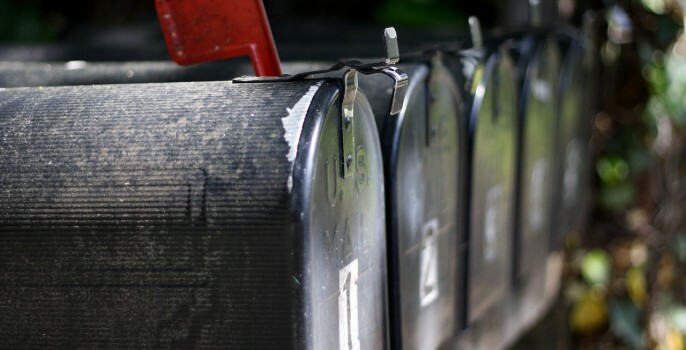 The flat rate boxes for Express Mail and Express Mail International have been eliminated; flat rate envelopes are still available for these mail classes. Priority Mail Regional Rate Box C has also been eliminated. Take a look at my domestic shipping article if you need a crash course in weighing and packaging. The USPS updated shipping rates on January 22nd, 2017. The rates shown below are no longer correct. I have posted a new shipping calculator with the updated rates. You have solved a problem I’ve had for over 6 months using USPS postage calculator to find out the cost of shipping to various areas. I give you thanks a thousand times over for this. But I have to wonder: how do you do it? Every time I try to use the postage calculator on their site, I get incomplete and inconsistent information. Maybe I have a little paranoia about making sure I have the correct information and want to make absolutely sure that the prices shown here are accurate. When I use their price calculator to check the price of an envelope under 16 ounces, it won’t give me the rates for anything over 13 ounces. Before, I could get rates for first class to Canada for weights under a pound, now it shows nothing. I haven’t even bothered to check their international rates after seeing that those for Canada no longer show. I’m planning on publishing a small graphic novel in the future and I’m going through Kickstarter or other crowd funding sites to hopefully get it funded. In order for me to do that though, I need to know shipping rates so I can put that in with the total cost to fund it. If I can’t get those rates, I can’t tell funders what to expect, and I can’t launch my project. Thanks for any additional help you can offer. Erin, the calculator uses the data from the USPS site – just made to be more user friendly. The reason my calculator shows First Class Mail up to 16 oz is because my calculator is set up for commercial based pricing while the USPS estimator is set up for retail rates that only go to 13 oz. To find prices for mailing to Canada, you can use the First Class Mail International rates. Hope this helps and good luck with your book! I checked here today; loaded a box of clothing that weighed 18 lbs and took it ti USPS. From California to Colorado is zone 5 which should have been $ 20.28. The lady at USPS said the least expensive was a 6 day rate of $ 35.00. Would it have been $ 20,28 had I printed a label and shipped it from my house? Lisa, I ran this scenario using Parcel Select to Zone 5 for an 18 lb package and came up with an online price of $20.23. That would have been the rate you would have paid if you were to use a vendor that provides commercial based pricing (like Etsy or PayPal) and printed your postage from home. USPS ClicknShip uses counter rates and no longer offers commercial pricing. Hope that clears things up for you. You can create a USPS account. You can print and send your padded envelope from home using PayPal as the payment option. You still get a discount. Also arrange for a package pick up at your door. Is there anyway to get the padded FRE rate through PP? I can’t get it to pop up and USPS isn’t offering a discount. Unfortunately, Paypal does not offer padded flat rate envelopes as a shipping option. This has caused some complaints in the Paypal forums! Thanks so much for taking the confusion out of the new postage rates! You are so kind to share. Thanks for this calculator. I’m confused about the domestic First Class Package rate for 1-3 oz, though. Etsy’s calculator comes up with $2.54, but yours says $2.60. I’m confused too, Susan. The rates on the calculator are pulled directly from USPS, which shows $2.60 for FCM packages 1-8oz. The online USPS calculator for commercial base shows $2.60 as well. The confusing part is that the USPS calculator for retail prices shows $2.54. This is a true oddity since commercial base prices are never higher than retail. There have been a few threads on Etsy noticing this inconsistency. Etsy may have some insider knowledge, or they’re banking on the fact that you should be able to send a package for $2.54 if you can pay that at the USPS counter. I’ll be monitoring the discussion to see if there’s any clarification from Etsy or the USPS. Thanks, Brittany. Your calculators are invaluable. Thank you so much for doing this! I use this to update my Etsy shipping profiles for U.S., Canada, and other international countries. I put the figures into a spreadsheet that adds in the cost of packaging and it makes it so easy! Really appreciate this! Thank you. I’ve shared it with my teams. There really is no better resource for calculating shipping. You rock. Thanks for spreading the word, Shannon! Thank you so much for this! I have come to depend on your calculators to make the dreaded task of updating shipping costs easier!! Cher, I’m glad that the calculators have been helpful to you. Thank you so much for this chart. I have been dreading tackling the updating of my shipping charges. This makes it doable. Thanks, Anita – let the tackling begin! Thank you for making this easy, Brittany! You are a gift!!! Thank you for figuring out the rates! I couldn’t make any sense of their charts. Neither could I, Deb. That is how the calculator came to be. You are so welcome, Kelly.